Standing here today, I cannot be more happy to admit how wrong I was six-and-a-half years ago. I cannot express how grateful I am that my mom chose to send me to the school that she did and how hard she worked in order to make this happen, but I can confidently say that I am a better person because of the education I have received. Valerie and classmates discuss the Great Books in Mr. Valeriano’s 12th grade Humanities class. One of the reasons I began to enjoy my school was that I did not feel like a statistic or another face in the crowd. I have personally witnessed that every student is listened to, and has a chance to speak and contribute to class discussions. I know all of the seventh through twelfth graders by name, and students in the older grades are encouraged to talk to and become friends with those who are younger. It has truly been a welcoming environment that I have not been able to find anywhere else. Beyond the benefits of its environment, my school has given me an education many can only dream of. I have read and now own an entire bookshelf of western classics and have been taught by some of the most brilliant and caring teachers I wish everyone had the opportunity to know. My teachers have challenged me daily and have taught me many things that still, and always will, amaze me. They are willing to help and answer questions no matter how busy they are, which is something I appreciate more than words can say. My education has helped me to have a new outlook on the world, and has given me a desire to learn more. I now truly understand how incredibly fortunate I am to have been given all of these opportunities. 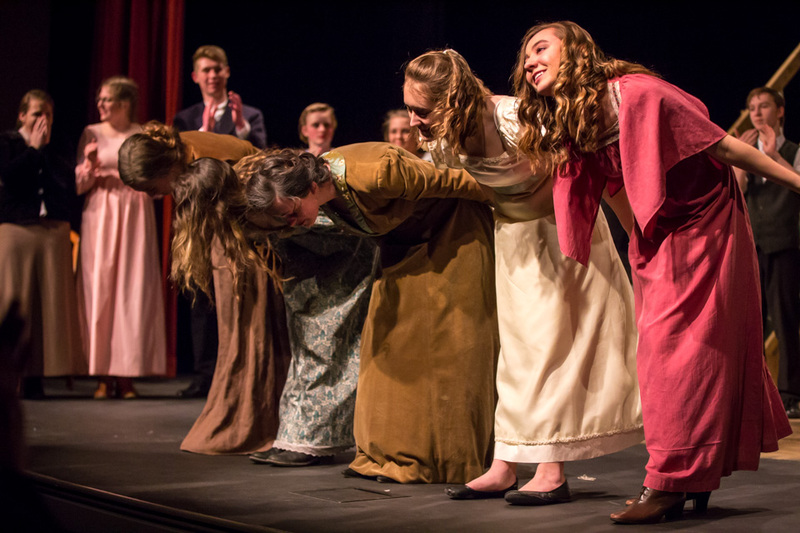 Valerie and cast taking a bow in last spring’s production of Little Women. I could continue talking about the benefits I have experienced through my education at a private school; however, I cannot ignore the fact that for most families, attending one is a financial impossibility. This reality could not be more true for my family. My mom has certainly never had, nor now has the means to pay for my full tuition. But, for almost seven years, I have been incredibly blessed to receive financial aid. Every year I have received two scholarships, one from my school directly, and one from ACE Scholarships. These have significantly decreased the amount my mom has had to pay and have ultimately made private school a possibility for me. As I mentioned before, my time at Petra has changed me more than I could ever have imagined. When I first began, I did not want to be there, but by the end of every year, attending another school the following fall was no longer a thought in my mind. However, at the end of my sophomore year, a few weeks before finals, my mom and I were incredibly worried that I would not be able to return. After my mom had filled out the financial information needed to apply for a scholarship, there was a mistake. Somehow her income was recorded to be almost $20,000 more than what it actually was, and she was sent an email that I would not be receiving the previous scholarship amount from my school. The night that she opened this email, I was working late on a Biology lab report. I remember walking into the kitchen to find my mom crying. She explained to me that we had not received enough scholarship money and that I might not be able to finish my last two years of high school at Petra. I remember lying awake the entire night and going to school the next day constantly on the verge of tears. I could not imagine the possibility of leaving and did not know what I would do if I had to. Thankfully, my mom was able to find the problem in the processing of the application and everything was sorted out. 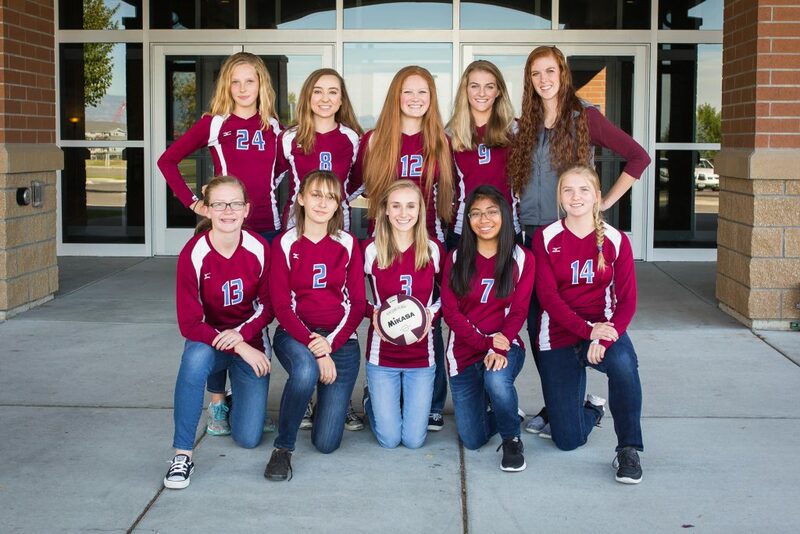 Valerie was one of three seniors on Petra’s first state tournament-making volleyball team this fall. As I start my last semester of high school, and begin to prepare for college and my future professional career, I want to express how important I now believe it is that parents be able to send their children to the school of their choice. 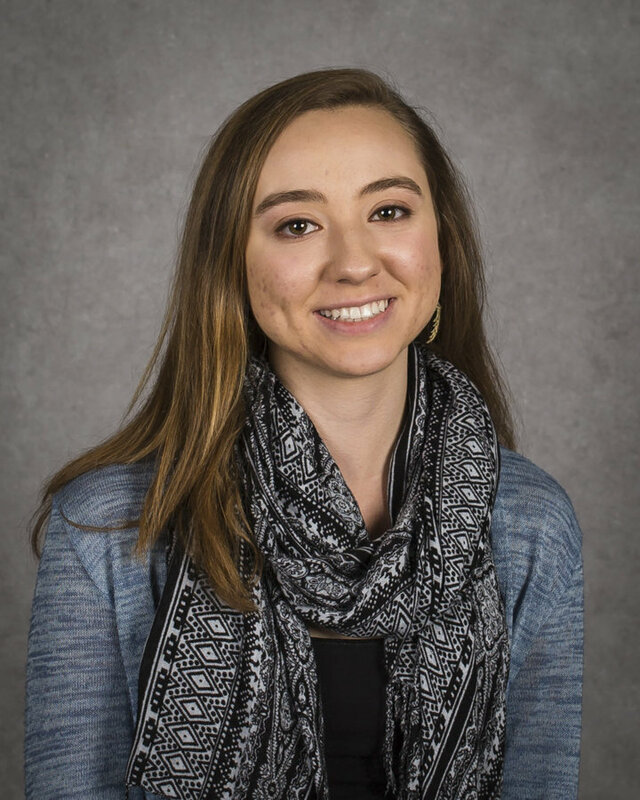 I do not know what my life would be like if I had not been able to attend a private school, but I am fairly certain that I would not be as motivated, hardworking, and goal-oriented as Petra has taught me to be. 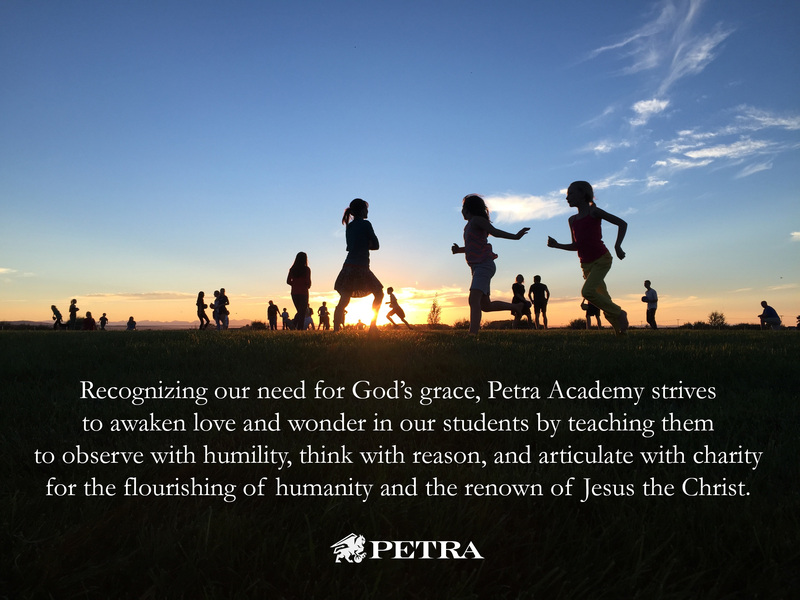 Petra Academy is an incredibly challenging school, but it has helped me to think critically and wisely about everything. I believe that all kids should be allowed to have the same opportunities that I have had, regardless of their financial or family background. I am sure that there are countless parents who are just like my mom – parents who desire to send their children to a school like Petra, but simply cannot afford to do so. I wonder how life might be different for the children of these parents if they could have the opportunity and the freedom of attending the school and education of their choice. I sincerely hope that more will be done to aid parents who seek to provide their children with the type of education they feel best meet the needs of their children and family, and I hope that in the future, more and more kids will be able to experience all that I have. If you’re still reading, let me again reiterate that my goal in writing hasn’t been to convince you to come to Petra or other schools like ours, but to encourage you to support the choice of others to do so. The goal is not to shut down good schools, but to provide parents with as many good educational options for their students as possible. You want this for your kids, I want this for mine, and I would guess that both of us are hopeful for everyone else’s kids as well. So where do we go from here? My offer to grab coffee still stands, as I’m glad to interact and genuinely engage in the school choice discussion with you. Maybe you haven’t thought much about it and are looking for someone to listen and ask questions as you process. Maybe you have thought a lot about it and have ideas that you’d like to take for a test-drive without getting run off the road. I’d be up for either of those conversations. 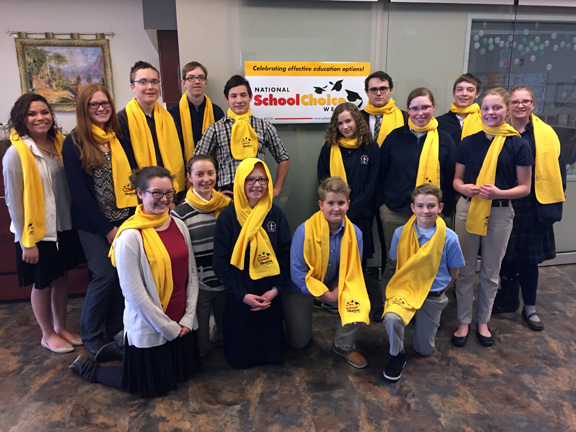 Some Petra students sporting their National School Choice Week scarves. The conversation I wouldn’t be up for is one that isn’t a conversation. As mentioned at the beginning of my letter, the narrative surrounding education seems to rarely allow for honest discussion between two people who want the best for their kids. Instead, we have allowed the debate to be hijacked by politicians on both sides of the aisle and a news media who delight in covering their reductionist talking points that don’t get at the complications beneath the considerations. One size does not fit all and there is no perfect school. These are two statements that, try as administrators might (and hate to admit), are truisms – obvious and accurate expressions not stating anything new. 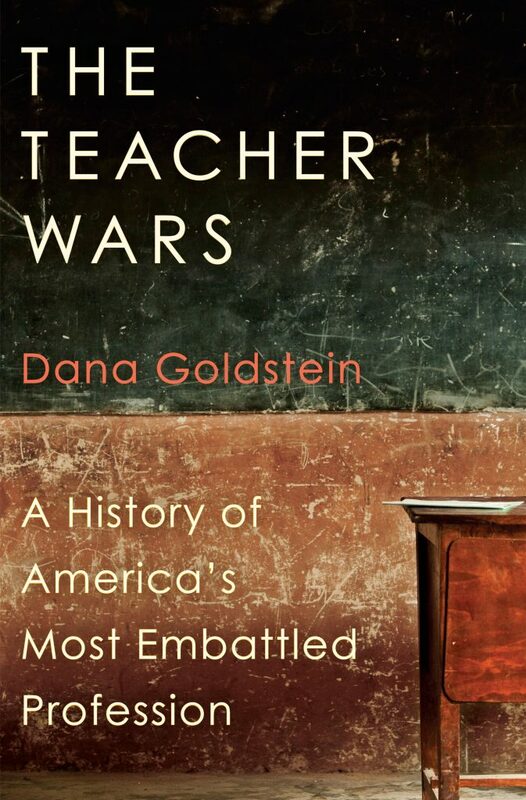 But what isn’t a truism is that the education of our kids has to stay the same – pedagogically, legislatively, financially – if we truly live in the Land of the Free and the Home of the Brave. For the sake of our children and our children’s children, let’s not cower to limits and fear. Again, thanks for taking the time to read this letter. And thanks for seriously considering the possibilities of how education in America could work with more good choices for parents and the resources to support them. According to the National Center for Education Statistics, in the fall of 2016, about 50.4 million students enrolled in public elementary and secondary schools, with an additional 5.2 million students attending private elementary and secondary schools. The Home School Legal Defense Association reports that more than 2.3 million children – or 3 percent of the American student population – are educated in the home. That’s a total of just over 57 million PreK-12th grade students in our country, with families of 7.5 million of those having to pay twice – once as part of the subsidy for the education of the 50.4 million, and again for the education of their own kids. But it’s more than just taxes and where they go that’s an issue in this debate. 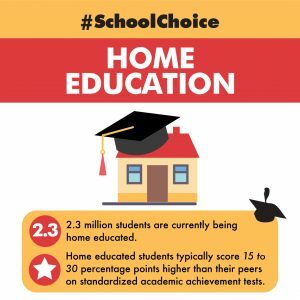 We should also talk about a number of other topics – class size, cost-effectiveness, and student success – characteristic of the school choice discussion. 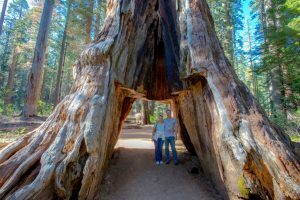 I imagine your school is larger than Petra (we only have 215 K4-12th students), so between higher enrollment and accompanying federal, state, and local funding for it, your school may be able to provide more options in terms of class scheduling, electives, special needs programs, and athletic and arts opportunities. But with those options come larger class sizes to try to pay for them. The maximum class size allowed for Montana public schools is no more than 30 students per single grade classroom for middle school and high school. Ask any teacher and he or she will tell you that 30 kids is a lot for one teacher to handle, let alone teach. In classrooms with enough space, I can make the argument that classes can reach a maximum of 18-20 and still function without detriment, but anything above this threshold is where key educational studies suggest class dynamics and instructional effectiveness devolve. What’s really interesting, though, is even with large class sizes, education at an average government school with larger class sizes is much more expensive than at an independent school with smaller class sizes. While I don’t know your school’s specific budget, the average annual spending per Montana public school student in 2014 was $11,017/student, which is roughly $4,000 more than what we charge parents per student per year at Petra. The difference, of course, is who’s paying for it – the government or the family. 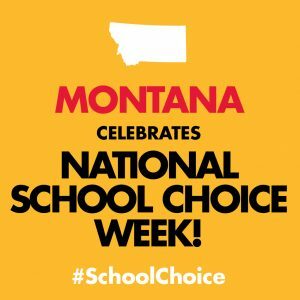 Folks in Bozeman take pride in their schools, lauding them as the best government schools in the state; however, what often gets left out of the conversation is that Montana ranked 30th according to a national report released by Education Week in 2015 and was given a “C” average – the same as the one given our nation. Thus, in essence, Bozeman’s government schools are the best of the average. Of course, there are bright spots, like Montana’s Class of 2016 earning an ACT average composite score of 20.3, but our little class of eight Petra seniors last year earned a composite score of 28.0 – a 38% difference I wrote about back in September – which should make one wonder as to what more – not fewer – small, independent schools could accomplish if basic levels of funding (and the freedom for families to access and use them) were in place. Despite my wishes to the contrary, classical education is not for everybody. Not every student can meet the basic standards of our curriculum, which is why we are sometimes (though very rarely) forced to deny or revoke admission. 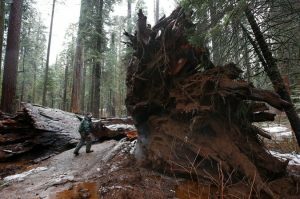 Colleges and universities – even those that are publicly funded – must make these same kinds of decisions to preserve the integrity of their courses of study. 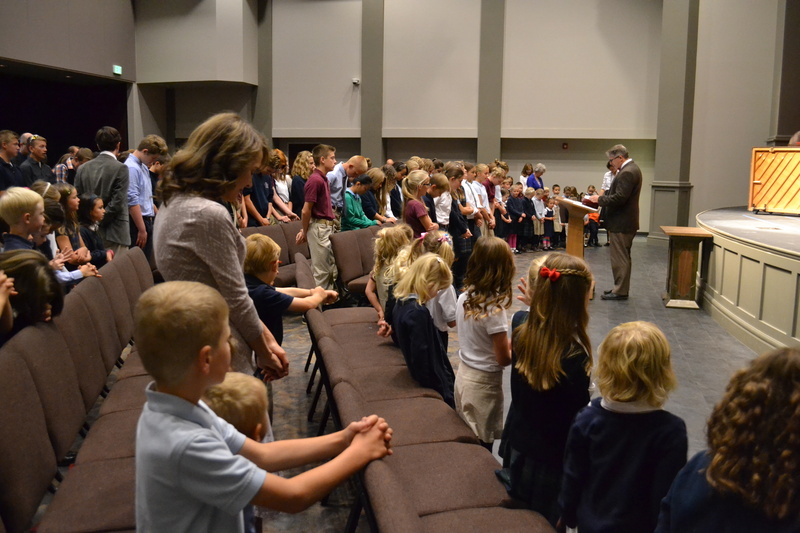 Likewise, not all parents believe or want their children to learn about our Christian religious beliefs; however, because we’re the only K4-12th grade Christian school in the Gallatin Valley with open enrollment, non-believing families are welcome to enroll with us anyway. Several choose to do so because their kids are challenged to think at a level they had not experienced elsewhere, and they as a family feel cared for by our school staff and administration. From the first conversation with a family, we are clear and up front as to what we teach. Parents don’t have to believe or agree with any of it to enroll their kids at Petra; all we ask is they understand why we teach it and not seek to undermine the fact that we do. Again, for the reasons just listed, our school is not for everyone, but neither is yours. Despite your administrator’s wishes to the contrary, progressive government education is an acquired taste for some, and a conscientious non-option for others. Not all parents want teachers forced to comply with the Department of Education’s Common Core curriculum, teaching their kids spelling without phonics or mathematics without memorizing basic math facts. Some parents are leery of their kids being taught subjects like literature or history apart from their overarching worldview (Christian or otherwise), and many think that redundant testing limits the measure of a student’s education to only that which is empirical at the expense of the evaluation of character and virtue that used to define education in this country 150 years ago. Nor do these parents like the idea that a government school comes with government strings attached. 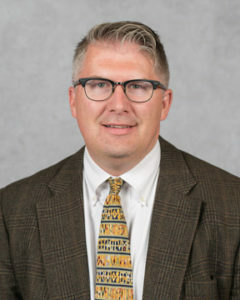 Inherent to this concern is the reality that, though the majority of administration and teachers who might work with their students at your school are good and loving people, their hands are often tied by the system of which they are forced to be a part – curricularly, pedagogically, and spiritually. Teachers who claim faith – regardless of what it is – are forbidden to engage with students in a meaningful way, lest they be fired, which could be argued is an impeding of one’s freedom of speech. These are legitimate concerns, and while they may not be yours, they are others’. For this reason, I’m not asking you to enroll your kids at Petra Academy (though I wouldn’t be a good Headmaster unless I offered to talk with you if you’re interested). But I am asking you to consider why those who do should have the same opportunity and support to send their kids to Petra that you have to send your kids to your school. 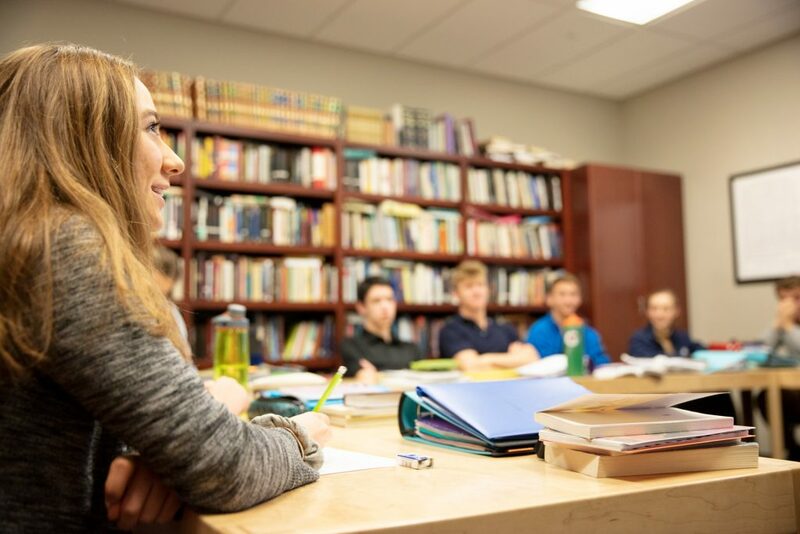 Despite the efforts to prolong the myth, education is not neutral; as a classical Christian school, Petra’s certainly isn’t, and as a government school, neither is your school. With curriculum, faculty, administration, and families all in the mix, there can simply be no question that the education provided by a school – any school – is going to be biased; the question for every parent is, “What is that bias and is that what I want for my kids?” If it is, great, but if not, a parent should be free to explore other options. Fine, politicians and pundits say, but they’re not going to pay for them. In fact, parents who “opt out” of the government school system (as if ever given the choice to “opt in”) still have to support the school they’re leaving with their taxes in addition to paying for whatever “other” education they want. The argument, of course, goes that tax payer money cannot be used to fund religious schools, but any belief system – even and especially the one that ostensibly espouses non-belief – is a faith system itself with traditions, tenets, and trust in something. Whatever the object of that trust – whether secular humanism’s reverence of man or scientism’s adoration of the objective – there is as much faith present in your school as there is in mine. In a society like our ours that aspires to pluralism, this is fine; however, educational funding should not be offered to one family while withheld from another under the false dichotomy of religious or non-religious schooling. If the state and federal governments insist on collecting taxes for the purpose of education, then fund all the parents instead of only some of the schools. Let the parents – not the politicians – decide where their kids would best learn and make it easier for them to get there. 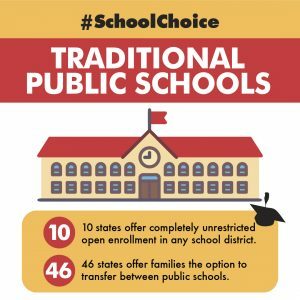 Did you know that, according to the American Federation for Children, 70 percent of Americans support school choice, with support even higher among growing demographic groups such as Hispanic voters (76%) and millennial voters (75%)? In addition, did you know that choice improves all schools? 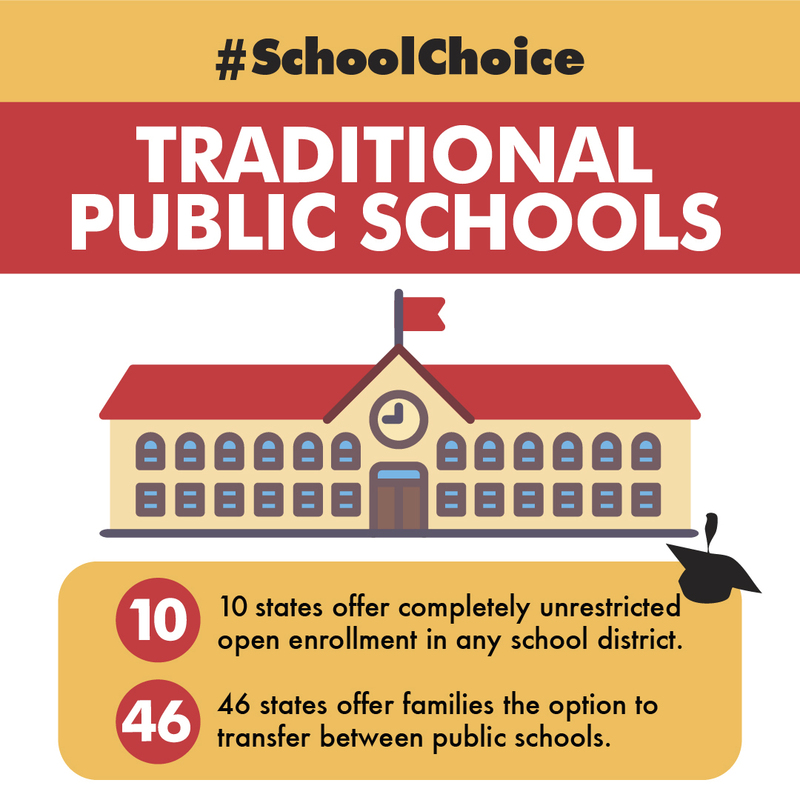 In “A Win-Win Solution,” published by EdChoice in 2016, 31 of 33 studies show that student outcomes in traditional public schools improve where school choice is introduced. Why is this last statistic the case? Because no one school can meet all the needs of each and every student; Petra can’t, and your school can’t, either, as evidenced by the fact that we have families from your school who come to ours (and at times, vice versa). This is not anyone’s fault, but it is everyone’s problem, the solving of which requires more – not fewer – options for families. We probably don’t know one another (though I’d be glad to amend that fact with a cup of coffee and a conversation), but I’m guessing a well-meaning friend forwarded this to you with the goal of starting, continuing, or finishing a discussion. While I don’t mean to meddle, it seems I already have, so in the absence of a proper introduction, perhaps we can follow the age-old advice of the parent/teacher conference: I won’t believe half of what I’ve heard about you if you won’t believe half of what you’ve heard about me. I’m assuming you have kids of some sort – young ones, older ones, maybe even grandkids – and I’m assuming you love and care for them as deeply as I care for mine (four daughters, ages 18, 16, 14, and 13). Our love for our kids is what we share, followed closely by our sense of responsibility for them and their well being; thus, we have more in common as parents, adults, and human beings than the narrative concerning education often allows. I know your kids are enrolled in a school, and I know there are reasons for your decision as to which, where, and why. Because no school is perfect, I’m sure there are things you like about your school and things you dislike about it; this is also true of most of the parents whose children attend Petra Academy, the school I lead. Because you’re involved, I hope you’ve taken the opportunity to voice your support of teachers and administration, as well as to offer your caring feedback, as both are invaluable (particularly when the former accompanies the latter). While it can sometimes seem difficult to nail down what is right and wrong in the world, I know you believe there’s a difference between the two and want your kids to be able to tell the difference as well. I also know you want your kids to learn – the facts of math and the scientific method, truths from history, beauty in literature and languages, potential of computers and technology, joy in music, drama, and art, and competition in athletics – maybe because you (if you’re like me) don’t feel you learned enough about many of these when we were their ages. Learning, of course, is what it’s all about, but not just learning that informs with knowledge; we want for our kids learning what transforms with wisdom how they see themselves, others, and the so-called “real” world. And, if we’re honest, we want the flavor of our children’s education to mirror our own vision of “the good life” because, let’s face it, we make choices not only out of what we know but out of what we love, just as our kids will. 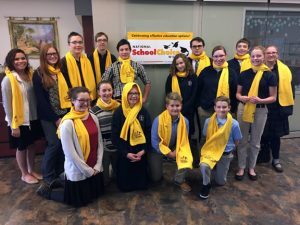 January 22-28 is National School Choice Week, “the world’s largest annual celebration of opportunity in education,” with thousands of events across the country marking the occasion. 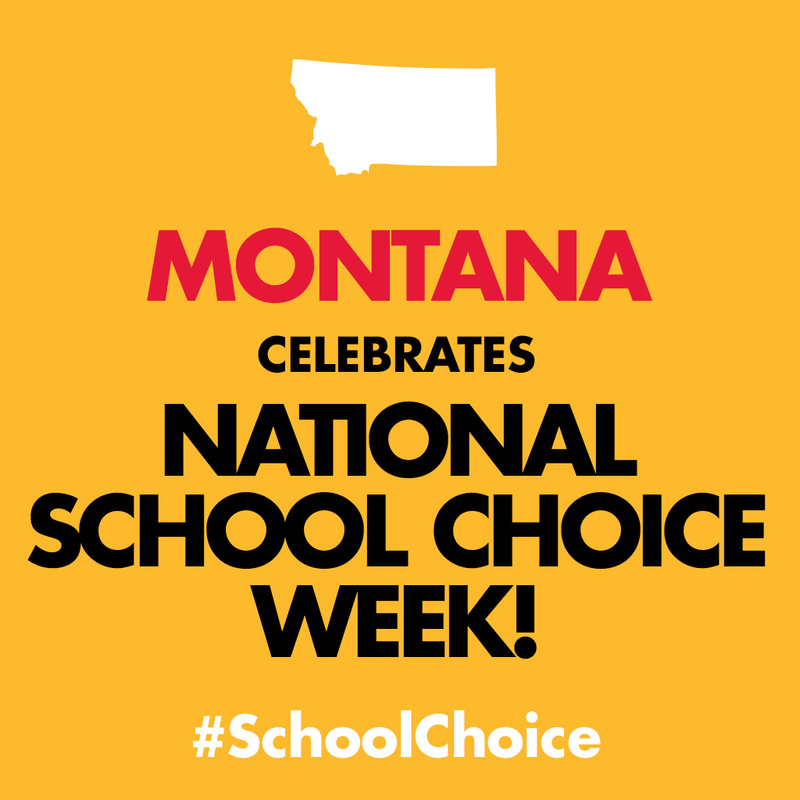 Click here for information about school choice events in Montana.